“What is the defining characteristic of the femme fatale, that film noir archetype of the scheming woman who preys on men? Even more than greed or coldheartedness, it might be deceit: a virtuosic ability to manipulate men with lies and playacting. The femme fatale is spawned by male anxiety—not prompted by women’s wartime emancipation, as many have argued, but arising from the age-old fear of being fooled by women, and the misogynistic belief that they are inherently duplicitous and inscrutable. This shapes the way actresses play femme fatales: they are often giving a performance of a performance, enacting a charade of feminine sweetness and frailty that satisfies the expectations and desires of their marks.” Imogen Sara Smith charts the variety of options playing the femme fatale left to actors, some iconic—Ava Gardner in The Killers, Jan Sterling in Ace in the Hole—some lesser-known but no lesser—Phyllis Thaxter and Patricia Neal as the more-slippery-than-it-seems good girl/bad girl dichotomy in The Breaking Point. “To put it simply, Waits is cool—the type of old-school cool that would likely come off as posturing if you caught someone trying it in public. Yet Waits makes it sing. His characters are perhaps never as cool as they think they are, yet the coolness is undeniable. These are the types of performances people want to emulate when young. You look at Waits’ ridiculous Frankenstein shoes in Down by Law and briefly think, “Where can I get a pair of those?”” Chris Evangelista finds the range and charisma of Tom Waits’s movie work deserving more acclaim than it’s received—and he’s smart enough to pepper the article with many examples of Waits’s marvelously deadpan one-liners culled from numerous interviews. An upcoming auction of Vivien Leigh’s possessions demonstrates the care she took in surrounding herself with beautiful decoration, from a fine selection of art to her wedding ring (“Laurence Olivier Vivien Eternally”). Elizabeth Day reminds us the pained and volatile private life such elegance may have been intended to shield. Via John Wyver. “I think the most important conversation should be acknowledging the diversity of the dollar. Money is coming from all over the place, and interest is coming for all kinds of things. That’s the only thing that will really change anything. The world never changes because of ideals. It always changes because of money. I think everybody’s seeing Netflix and Amazon’s ability to attract different audiences and it’s rocking the world because they’re increasing profit steadily as a result.” Brett Martin manufactures a roundtable from separate conversations with directors balancing their artistic goals with their newfound commercial success—including Jordon Peele, Edgar Wright, Jeff Nichols, Ava DuVernay, Bong Joon-ho, and Patty Jenkins (quoted above). “But my father was sort of the quintessential definition of an academic and a workaholic. It’s really disconcerting sometimes to go home and see that I have, not unlike my father, taken over the dining room table and turned it into an office. That sort of imprinted on me that if you’re awake, you can be doing something.” Staying at GQ, and with the general animosity towards studios: Steven Soderbergh’s workaholic tendencies—as nearly everyone predicted—eventually overcame his announced retirement from filmmaking. Though as he tells Zach Baron part of the key for returning was figuring out a self-financed mass-distribution system for Logan Lucky that still allows him to opt out of the Hollywood system he loathes. “You’ve got to call reality into doubt. Or better yet, I’d say you’ve got to be suspicious of reality. Because if you’re not, there’s no possible transformation. Every one of us who has done cinema—to speak just of moviemaking—has contributed our perspectives to a vision of the world. A community needs that—lots of perspectives. There will be times when some are valued more than others. But the really important thing is that a lot of different visions coexist. 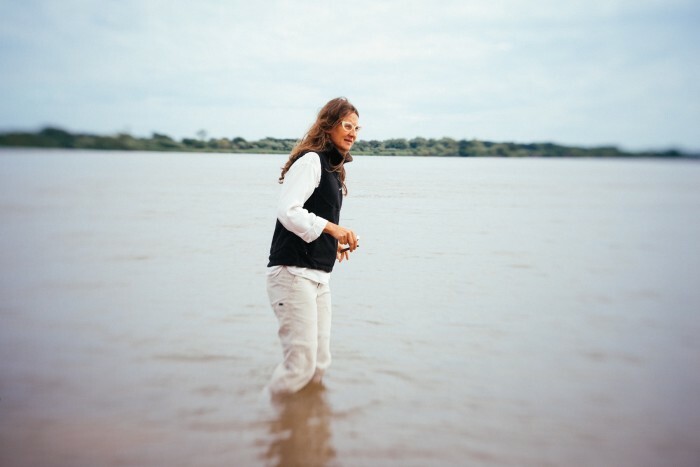 The big task is to facilitate that variety.” Lucrecia Martel shares her own thoughts on diversity and bucking the system—which are, as you’d expect, thorough, radical, yet tantalizingly elliptical—with Manuel Kalmanovitz. Via Mubi. “If Stanley could have shot Full Metal Jacket in his back garden, he would have. It wasn’t so much that he didn’t like to travel, he just didn’t see the necessity of it. Instead, we found Beckton gasworks, which was constructed by the same company of architects that built in the city of Hué, Vietnam. All we had to do was dress it up, put signs on it and blow it up.” Damon Wise talks with Matthew Modine and casting director/Kubrick’s assistant Leon Vitali about the making of Full Metal Jacket—which involved a signature mix of meticulous preplanning and happy, last-minute coincidence. 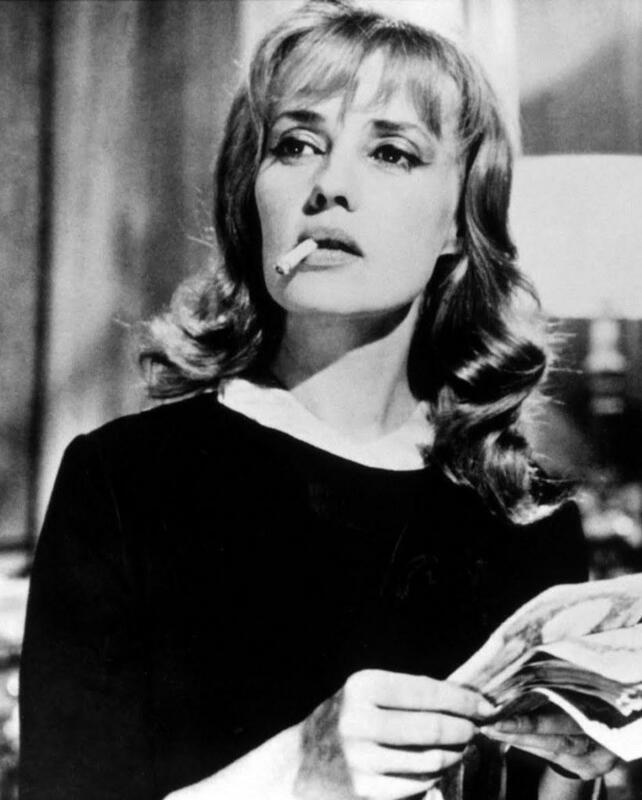 Jeanne Moreau was the first lady of French cinema, making over 130 films in a career spanning almost 70 years. She began in the theater as a member of the Comédie-Française in 1947 and made her screen debut in the 1949 drama Last Love (1949), moving between stage and screen through the 1950s. She played support to Jean Gabin in Touchez Pas au Grisbi (1954) and the lead in Queen Margot (1954) but it was her work with the New Wave directors that made her internationally famous. Louis Malle directed her in Elevator to the Gallows (1958) and The Lovers (1958) and she starred in François Truffaut’s Jules and Jim (1962) and Jacques Demy’s Bay of Angels (1963). Michelangelo Antonioni cast her opposite Marcello Mastroianni in La Notte (1961), she was the lead in Joseph Losey’s Eva (1962) and Truffaut’s The Bride Wore Black (1968), and she appeared in three film by Orson Welles, who called her “the greatest actress in the world”: The Trial (1962), Chimes at Midnight (1965), and The Immortal Story (1968). She was also a director, making her directorial debut with Lumiere (1976). She appeared in Losey’s Mr. Klein (1976) and Fassbinder’s Querelle (1982), and was essential in supporting roles in Luc Besson’s La Femme Nikita (1990) and Wim Wenders’ Until the End of the World (1991). She continued appearing in films and TV productions, often providing narration or voice acting, through 2015, making her last major film appearance opposite fellow veterans Michael Lonsdale and Claudia Cardinale in Manoel de Oliveira’s Gebo and the Shadow (2012). She passed away at the age of 89. Ronald Bergan for The Guardian. More remembrances and tributes collected by David Hudson at Criterion Daily. 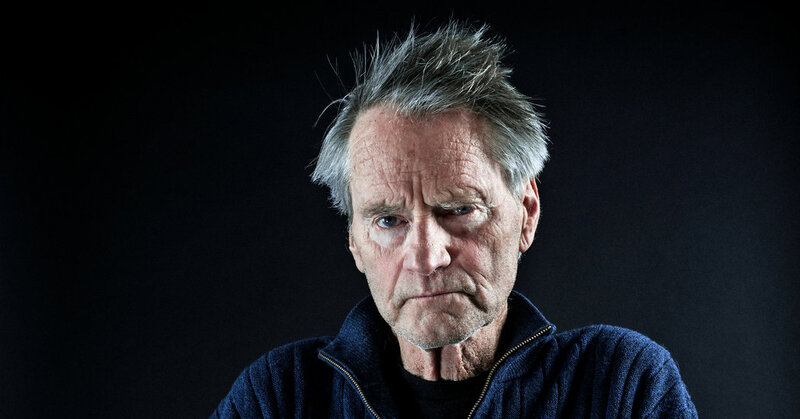 Sam Shepard’s greatest achievements will always be the plays he wrote for the stage: Curse of the Starving Class, Buried Child (for which he won the Pulitzer Prize), True West, Fool For Love, and Lie of the Mind (winner Drama Desk Award and New York Drama Critics’ Circle Award) to name a few. He also wrote a few screenplays, contributing to Antonioni’s Zabriskie Point (1970), collaborating with Bob Dylan on Renaldo and Clara (1978), writing Paris, Texas (1984), which he developed with director Wim Wenders, and adapting Fool For Love (1984) for Robert Altman, and he directed two films, Far North (1988) and Silent Tongue (1993), both from his own original screenplays. But he became more famous to most Americans as a sturdy screen actor who specialized in rugged characters. His first major role was as the romantic land baron in Terrence Malick’s Days of Heaven (1978) and he followed it with roles in Resurrection (1980), Raggedy Man (1981), and Frances (1982), where he met Jessica Lange, his partner for over 25 years. He was nominated for an Oscar playing Chuck Yeager in The Right Stuff (1983), starred opposite Jessica Lange again in Country (1984), and took the lead in Altman’s screen version of Fool For Love, but for most of his screen career he remained a solid supporting act. His filmography includes Crimes of the Heart (1986), Baby Boom (1987), Steel Magnolias (1989), Thunderheart (1992), The Pelican Brief (1993), TV mini-series Streets of Laredo (1995), TV movie Dash and Lilly (1999) as Dashiell Hammet, Hamlet (2000), All the Pretty Horses (2000), The Pledge (2001), Black Hawk Down (2001), The Assassination of Jesse James by the Coward Robert Ford (2007), reunited with director Wenders on Don’t Come Knocking (2005), which is also wrote, Killing Them Softly (2012), Mud (2012), Out of the Furnace (2013), Cold in July (2014), and Midnight Special (2016), and starred at the family patriarch in the Netflix series Bloodline. He died at age 73. Ben Brantley for The New York Times.